Michael Tullberg/Getty Images for CoachellaAkon will be honored at the 2016 BET Awards with a Global Good Award! Born Aliaume Damala Badara Akon Thiam to Senegalese parents, the Grammy Award-nominated artist has made headlines in this past for his chart-topping music and humanitarian efforts. He launched the Konfidence Foundation in 2006, which provides educational and health resources to Senegalese youth. In 2014, he also co-founded the Akon Lighting Africa initiative, which supplies electricity to millions of homes in rural Africa. When asked in 2014 what inspired him to create Akon Lighting Africa, Akon told ABC News Radio about the constant electricity problems he observed during multiple visits to Africa. 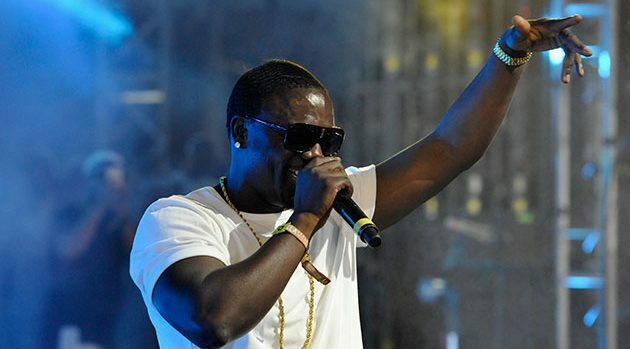 Akon also helped launch the Solar Academy in the West African country of Mali. The educational institution teaches engineers how to develop solar power. Akon will be presented with the Global Good Award at the BET Awards by actress/model Eva Marcille and recording artist Jidenna. The 2016 BET Awards air on BET Sunday, June 26, at 8:00 p.m. ET.